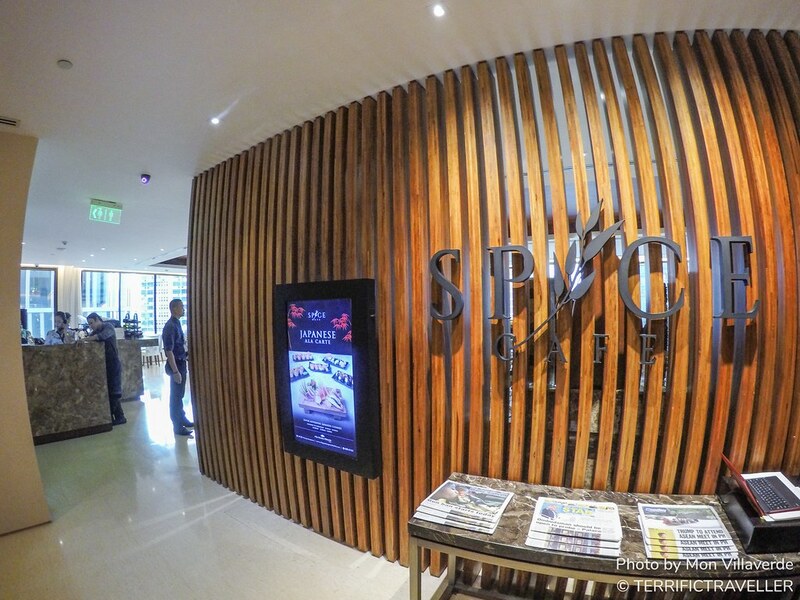 The Spice Café, an all-day dining establishment situated at the 7th floor boasts of a breakfast buffet of sumptuous continental, western, eastern and local dishes. A la carte dining is also available until the late evening. Just look at the variety of cuisines you can get from the wide array of western, eastern, continental, and local selections. I personally liked how they had so many kinds of bread you can customize, and toast yourself. They also have this rotating salad bar for our vegetarian friends, and a lot more! 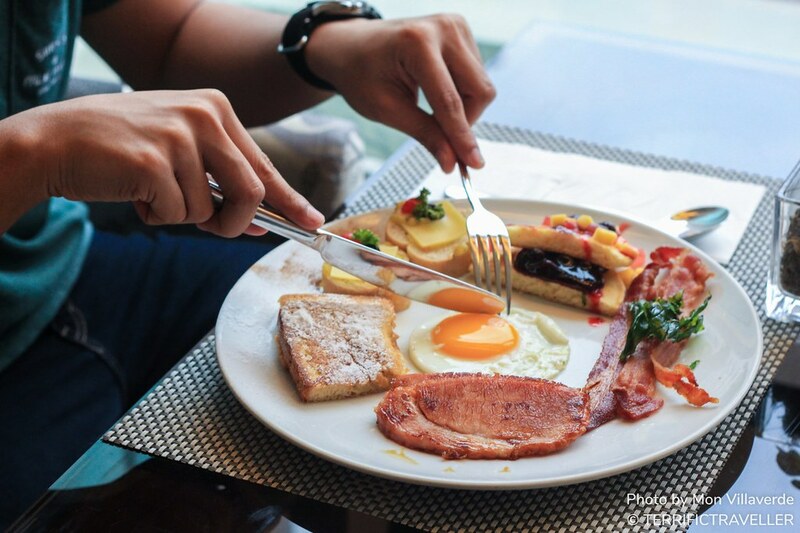 We were presented with a specially arranged breakfast plate that looked and tasted excellent! and imagine there’s endless supply of everything you see above during breakfast time. Unli bacon and eggs? count me in! 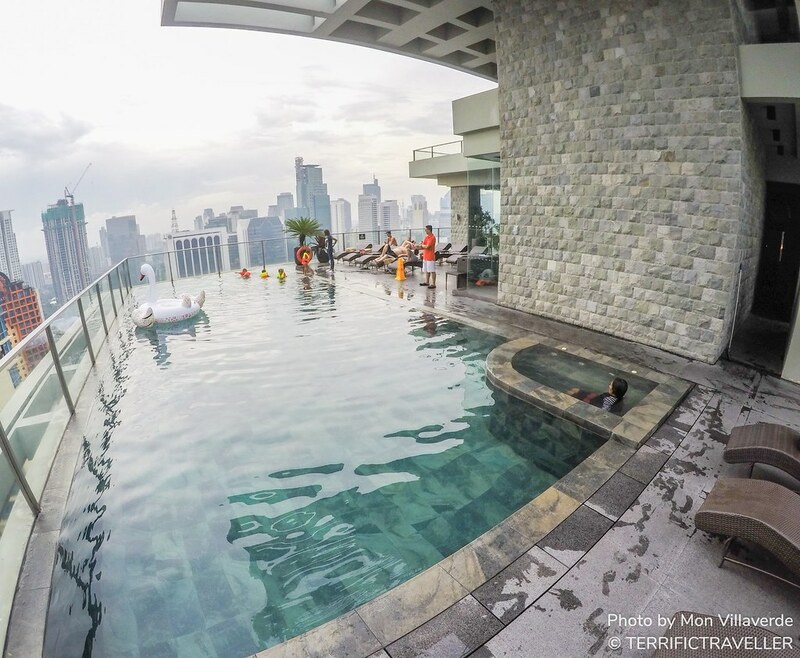 A grandiose stay at the City Garden GRAND Hotel will not be completed without a dip at the outdoor rooftop pool and Jacuzzi located on the 32nd floor which offers breath-taking, unobstructed view of the Makati CBD skyline. 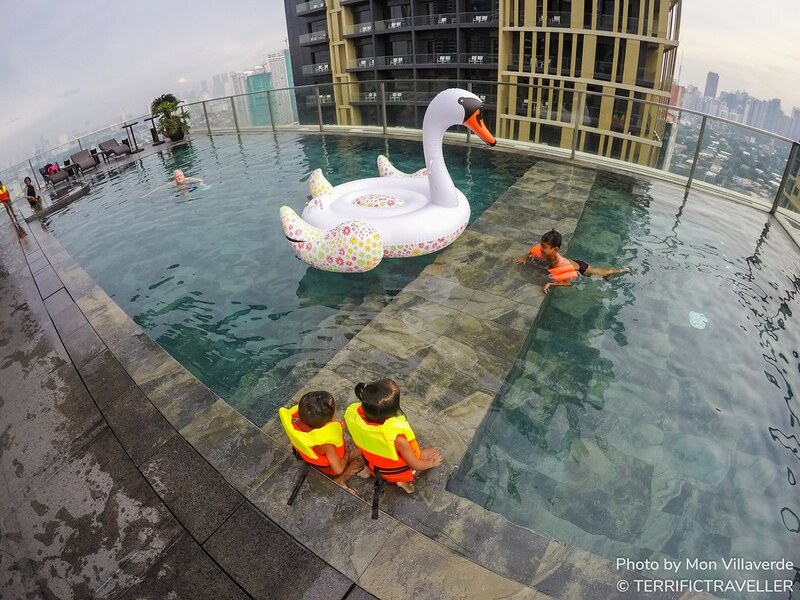 The kid in you and your kids would surely love the roof deck pool, which is very safe for supervised youths, and adults of all ages. This pool is also equipped with a jacuzzi, for even more relaxation. 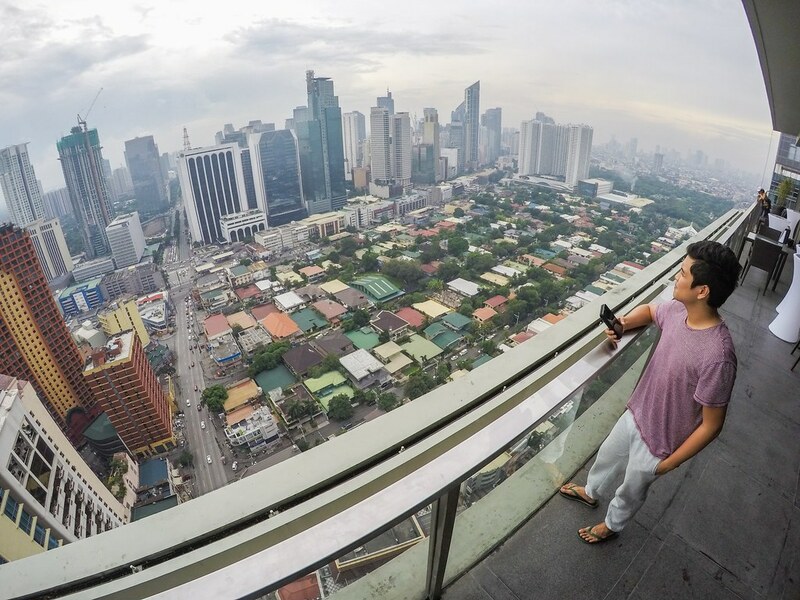 Unlimited view, but so little time. 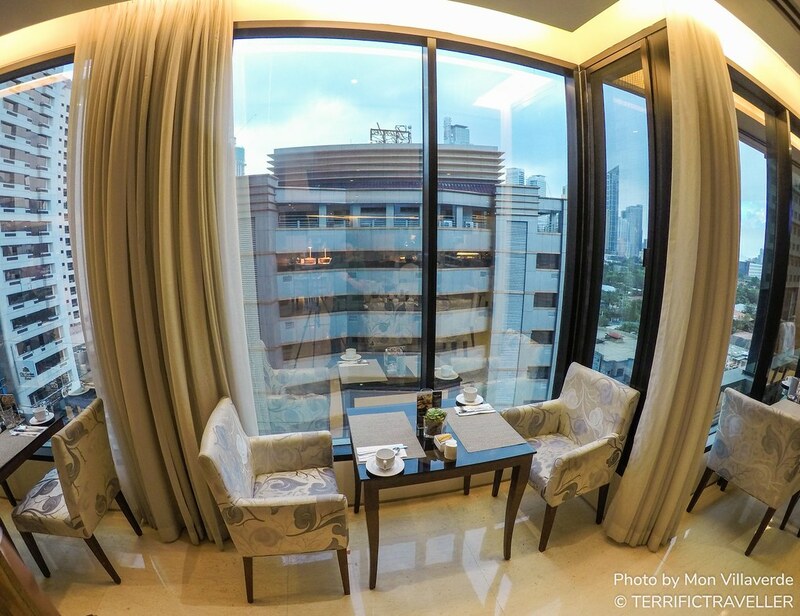 I enjoyed every minute of my stay at City Garden Grand Hotel, from check in, to enjoying the last few hours of my extended check out time on the roof deck area.